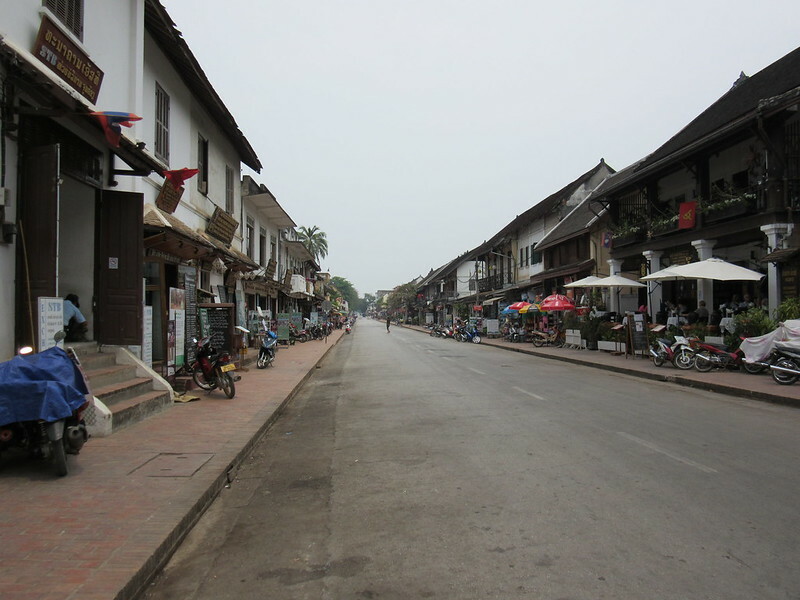 When we arrived in Luang Prabang, we didn’t have a definite idea how long we’d stay. From everything we’d heard, the place is hard to leave, and this turned out to be true for us! I think it became a running joke with the people in our guesthouse when we asked them, yet again, if our room was available for just one more night. 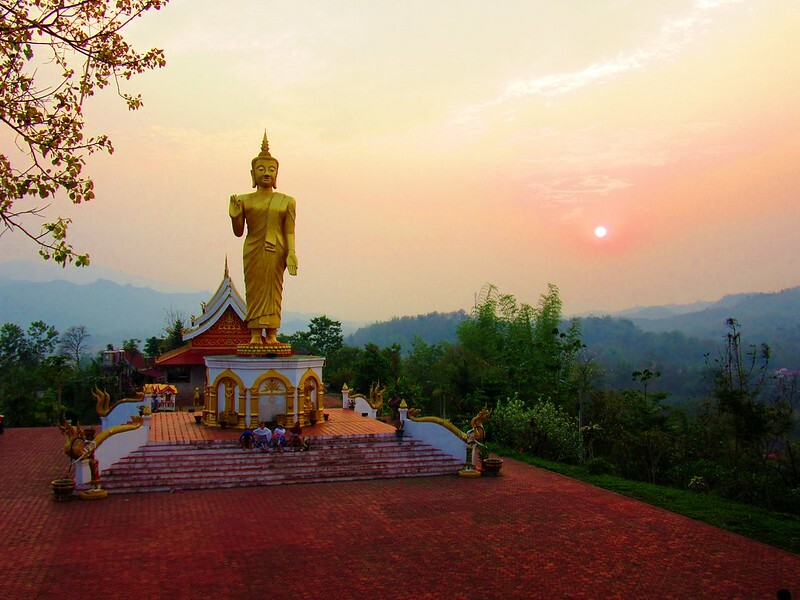 Although we didn’t actually do all that much there, we thoroughly enjoyed our time in Luang Prabang. 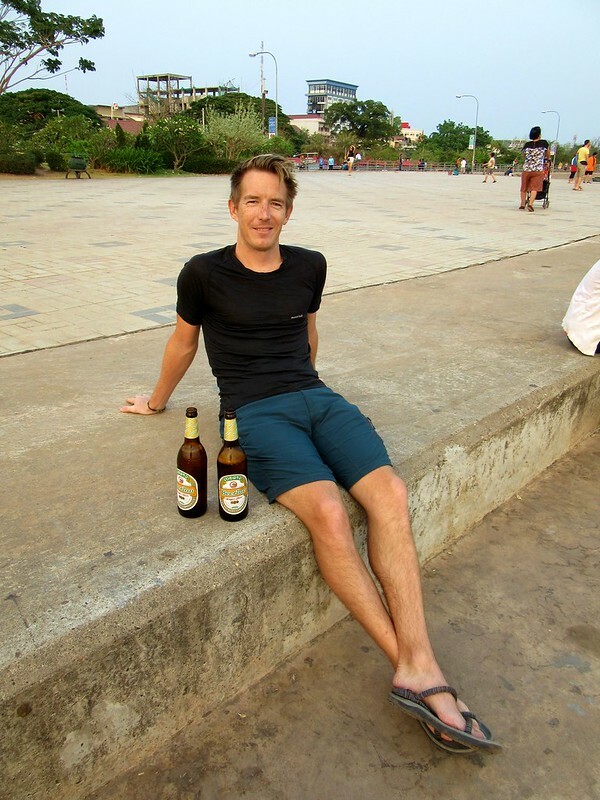 It sits at the meeting point of two rivers (Mekong and Nam Khan), with the water almost completely encircling the old town centre which is full of temples, tree lined alleyways and colonial architecture. I’d love to say we were more cultured and toured around the temples, learning all about the historical significance of the nation’s old capital but, I can’t. We did see a lot of the town though, the night market, the leafy walkways next to the rivers and lots of the restaurants. It was just a very easy place to spend time. Crossing the border into Laos was very easy. On the Thai side, we left our bikes outside the control building and went in to get our exit stamps, on the final day of our 30 day visa free period. 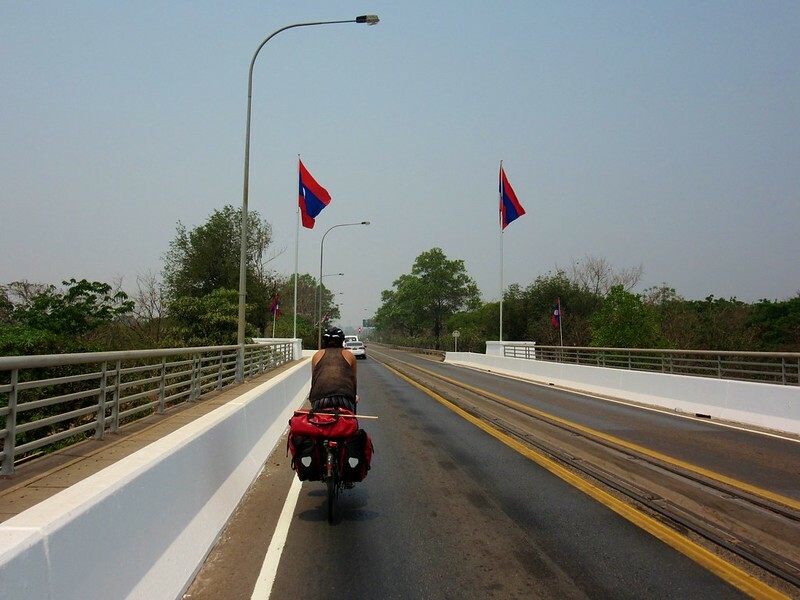 Technically, bikes aren’t allowed on the Friendship Bridge across no mans land and over the Mekong, but we’d read of other cycle tourists who’d ridden across. We got back on our bikes and rode quickly off, avoiding the guys selling tickets for the bus, which we were supposed to take over to the Laos side. We had no problems though, I think the guards are used to turning a blind eye as so many cyclists cross here.